We are a unique bridal boutique for not only brides, but the entire bridal party! We proudly and exclusively carry Maggie Sottero & Rebecca Ingram gowns. Maggie Sottero has already made her home in our boutique, and this past season we were so blessed to be able to bring you her sister line, Rebecca Ingram! With her timeless elegance and her modern value, she is sure to make your jaw drop! Our bridesmaid collection features pieces from Jasmine Bridesmaid, and we are absolutely in love with this line! They offer a wide range of color options, sizes & styles to fit every woman, and quick shipping at a fabulous price. We are certain you will love it, too! Our Mother’s collection consists of select gowns from Decode 1.8 and Alex Evenings. Additionally, we do have a small selection of sample gowns by Cameron Blake, Daymor Couture, Damianou, Montage by Mon Cheri, and Social Occasions by Mon Cheri. These gowns are ready to wear for your convenience! 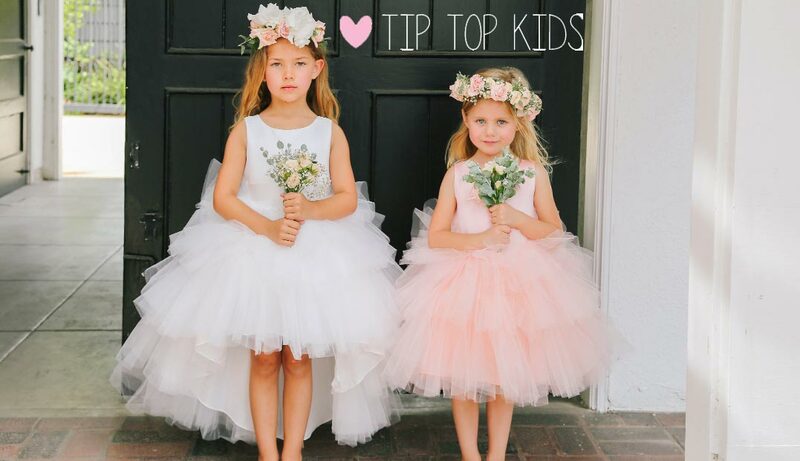 Last, but certainly not least, our precious flower girl collection is by Tip Top Kids. These gowns are sweet and sophisticated…perfect for every special moment that any little princess might encounter!